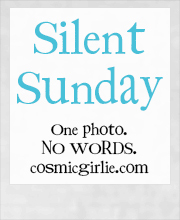 This entry was posted in Silent Sunday on March 15, 2014 by Lou. That’s really quirky the way the snow just stops. The stick looks quite spooky too. Is this the start of spring? Wow what a beauyiful photograph, so tranquil. Hopefully you will have more sunny days and less snowy ones now it’s Spring. Looking a bit warmer! Very beautiful shot! that is brilliant! You have a wealth of scenery over there, love it! It looks like it is beginning to thaw? Or am I being too hopeful? nless I’m completely off the mark, it’s finally beginning to warm up over your way?! There seems to be a “U” missing in my original comment!!! Love the sun twinkling on the water there – a promise of warmer weather to come?! Thats so weird to see snow on a beach! S’almost gone! Nice to see water on the lake again!